There are reasons you need these Danner Men's 62111 Brown East Ridge 8 Inch Waterproof USA-Made Boots. Let's count them. You need to be quick on your feet, like a cat. You must be cagey and crafty, like a raccoon determined to knock over a trashcan. You need to hav ... (see full details) (see specifications) #DNN62111. There are reasons you need these Danner Men's 62111 Brown East Ridge 8 Inch Waterproof USA-Made Boots. Let's count them. You need to be quick on your feet, like a cat. You must be cagey and crafty, like a raccoon determined to knock over a trashcan. You need to have quick reactions, like a deer running from an arrow. We're not even talking about hunting right now - you need all that stuff just to deal with your wife when she's trying to get to you with a "honey do" list. But for work or hunting or whatever, these USA-made boots are totally perfect for that stuff, too. The 8-inch design of these shoes is manufactured with two different upper materials to create a stylish two-tone look. Two shades of brown combine in a great look, but that's actually incidental. The reason two materials were used in the design is to give your feet the best of everything they need. Best of all? These premium boots were made in the USA. First, you've got the oiled Nubuck leather. This full-grain leather of this footwear has the touchability of suede, but it performs like the sternest leather out there. It repels weather and rain, it resists wear and tear, it flexes and folds comfortably around your every step. Next, you've got the 900 denier nylon. This breathable material resists abrasions and stands strong, but still feels lightweight when you wear these exceptional boots. It's naturally ventilating to keep your feet naturally cooler and less sweaty - and naturally, that's what you want. Use the fast and flexible lacing system to create a perfect, comfortable fit around your feet. Once your feet are in these brown shoes, they're going to be surrounded with all the protection and comfort of Gore-Tex waterproofing. The liners are 100% waterproof to block 100% of moisture that comes your way. But Gore-Tex isn't just waterproof, it's breathable. Air travels through the membrane, but water won't. Lightweight, soft polyurethane footbeds put a layer of cushioned shock-resistance between you and the ground. We’re sorry it can’t put a layer of protection between you and the wife, but workwear can only do so much. A secure, fast, flexible lacing system provides you with an enhanced fit. Vibram Hunter outsoles put shock-resistance under your feet, too. The lightweight soles of these slip-resistant have a unique tread pattern to help your feet maintain grip. Stitchdown construction keeps the soles firmly in place. Heavy thread was used to stitch the uppers to the insoles. Then, the uppers are cemented to the outsoles for a durable bond that can be recrafted if needed. This construction method gives your steps full flexibility. 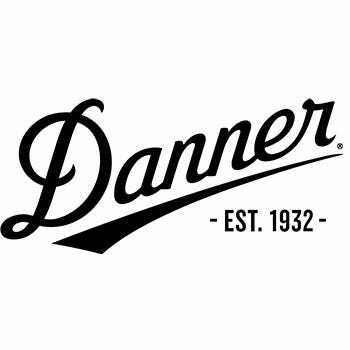 These Danner Men's 62111 Brown East Ridge 8 Inch Waterproof USA-Made Leather Boots will give you lots of reasons to stay more comfortable while you work. So go ahead and put a pair in your cart today. Danner makes great boots, and these USA made hunting boots are no exception. They are comfortable, light-weight, waterproof, and tall enough to ford a pretty deep stream. Wear these all day long and have dry, happy feet at the end of the day. They are rugged and durable and hold up well hunting in thick grass and brush. Good for tromping through CRP fields and chasing down that pheasant that you winged. The only thing better than these boots would be a good hunting dog! Thanks for your great service, I received my motorcycle boots exactly when you said I would. I will definitely recommend you. Danner Boots: Men's Brown 62111 USA-Made Waterproof 8 Inch Hunting Boots is being added to your cart.